Posted on July 12, 2012 by Brandrenaline, Inc. These stats – which change by the second – were current at the moment that I looked them up. That was throughout the day on July 11, 2012. 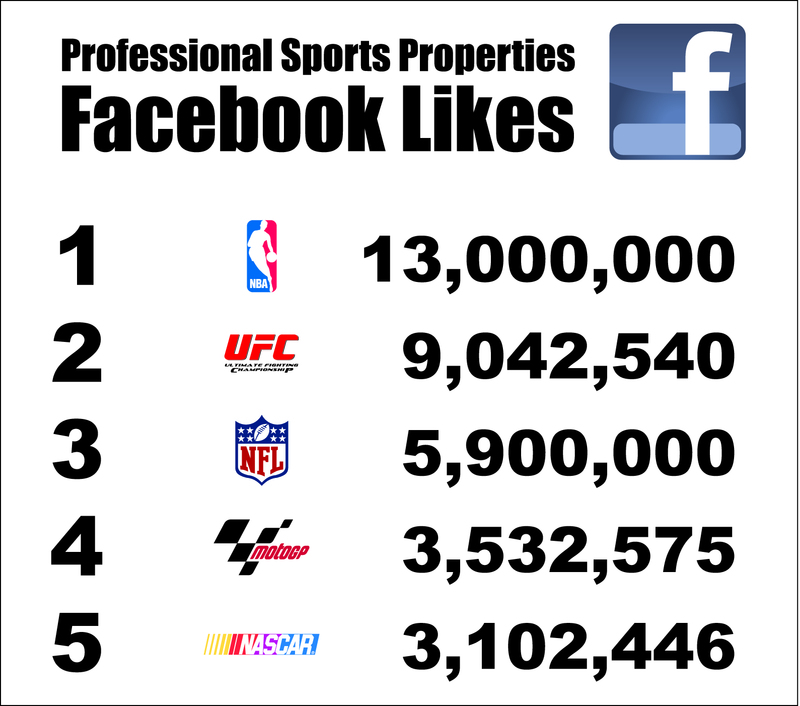 The impetus for this was simple; I wondered how IndyCar stacked up against other major sports properties with Facebook and Twitter. 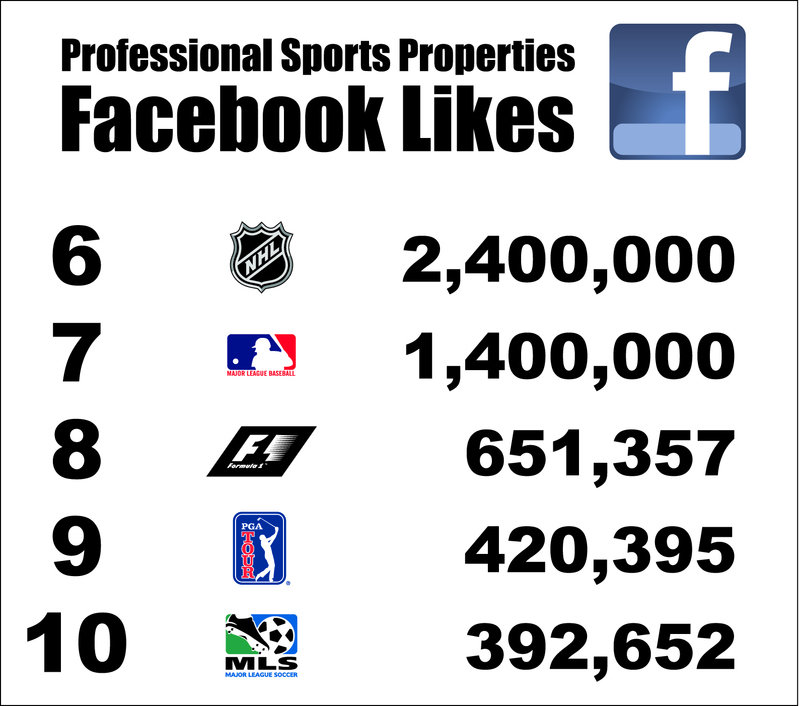 It is interesting to me that the ‘scores’ reflect, in my opinion, a combination of corporate strategy, the popularity of the sport, and the engagement by the sports’ most popular athletes. 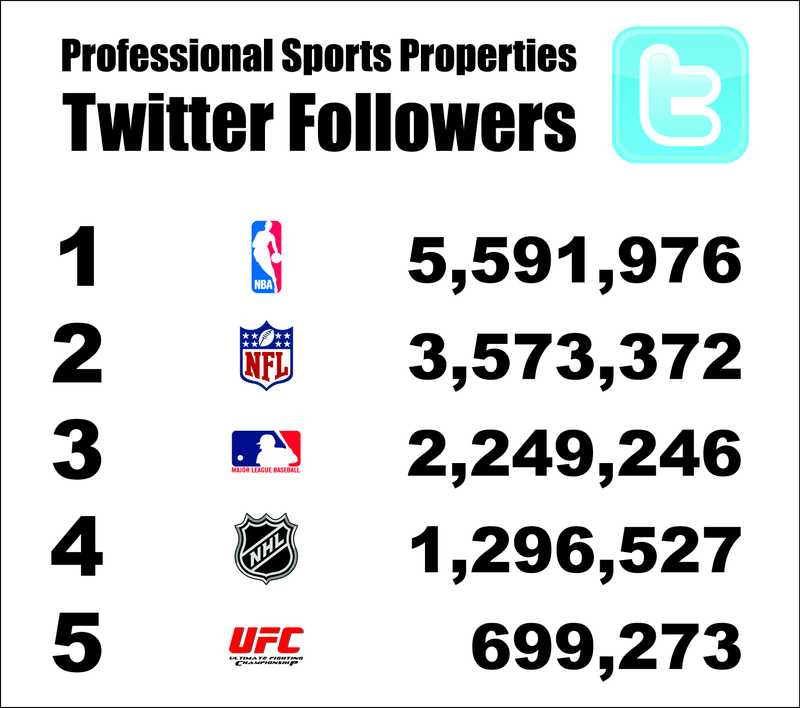 The order is for the most part different from Facebook to Twitter – except for the current Champ with both… the NBA. So…. what does it all mean? To fans? To corporate sponsors? To the media? Posted on April 3, 2012 by Brandrenaline, Inc. In the mid-1980s, my wife, daughter and I moved to Southern California from Vancouver, Canada. I had a little office in a plaza and beside my office was a place that made ceramic teeth. One of the technicians in there greeted me one morning with a 4×6 photo of an open-wheel race car. An ex-Stuart Hayner/Wilbur Bunce Lola T320 Super Vee to be exact. He asked me if I wanted to buy it. I didn’t know that I was in the market for a race car but apparently I was. I only drove it once, but found fascination in the concept that this ‘thing’ could be used as a marketing conduit to sell stuff. 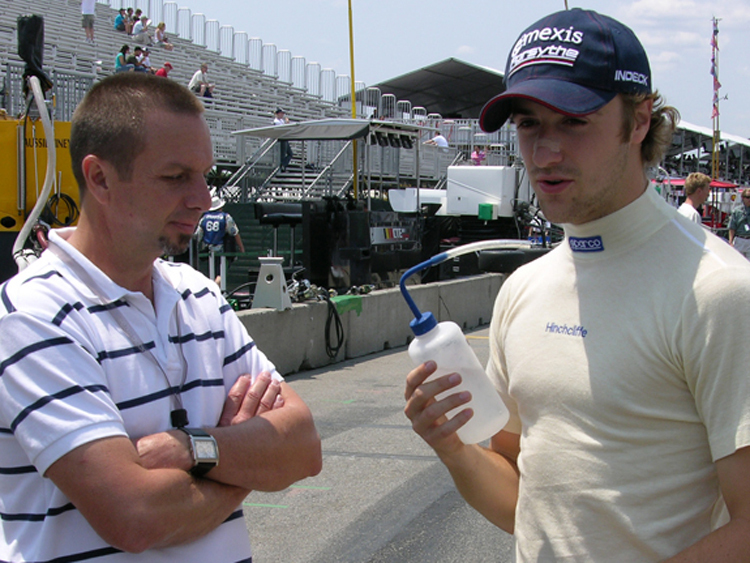 My first sponsorship deal ever was with Circle Porsche Audi in Long Beach. 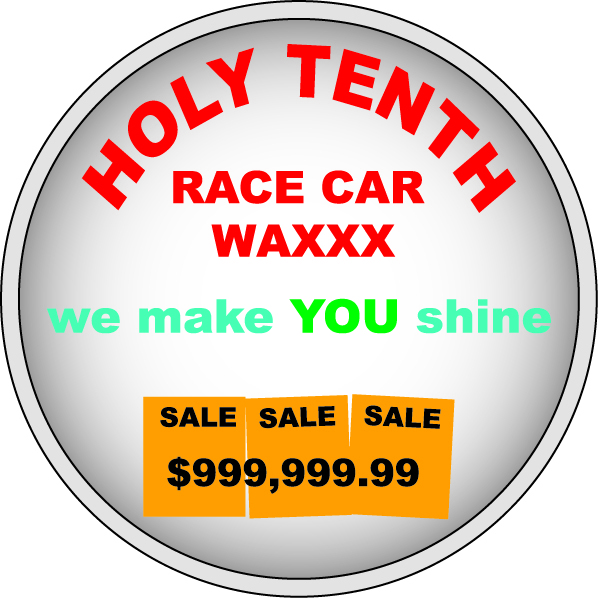 I negotiated a parts discount for our race team in exchange for putting their logo on the massive rear wing of the Lola. We moved back to Canada shortly thereafter and I gave the Lola back to the guy I had bought it from. Key word; “gave”. This would not be the last mistake that I made in motorsports. 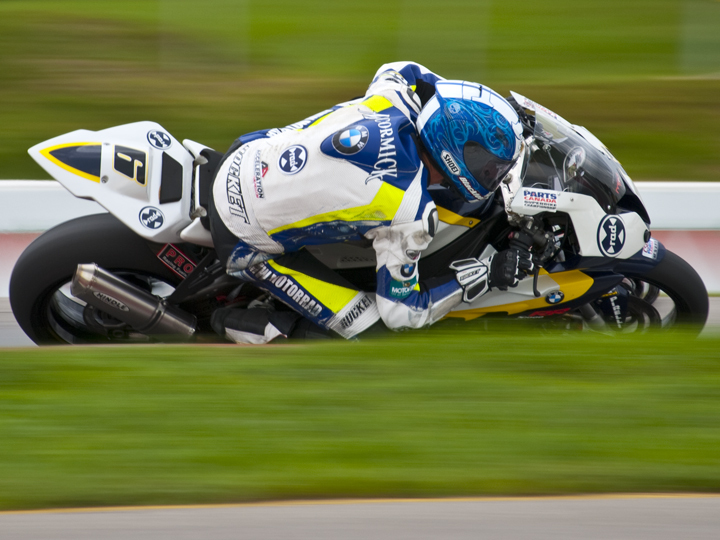 I became consumed with motorsports as a marketing tool. I wanted to pursue this and did so with a passion. My ascent up the motorsports ladder was not unlike a driver’s. 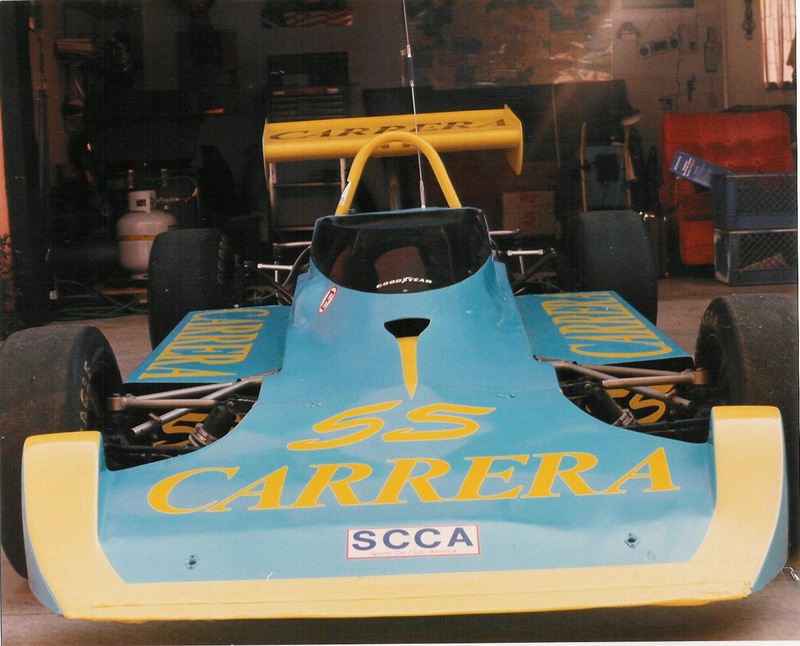 I started doing sponsorship deals in Formula Ford 1600s, then FF2000, Formula Atlantics, Canadian Superbike and more. 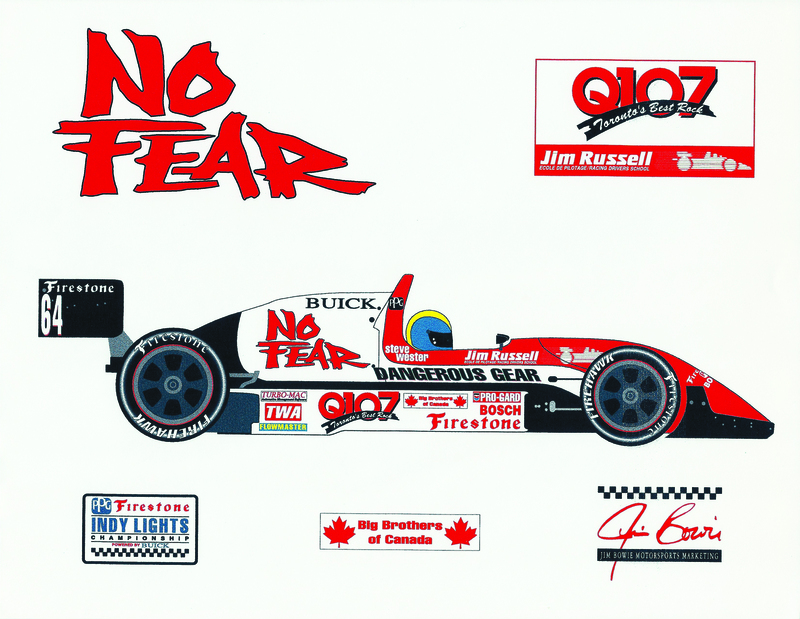 Creating an Indy Lights proposal for Jim Russell instructor Steve Wester in the early 90s got me into Gasoline Alley at the Indianapolis Motor Speedway and the rest is history. Fast forward to today, and I have to admit that I am disappointed, but not surprised, by what I am seeing in the sponsorship game in motorsports. I think we are regressing. 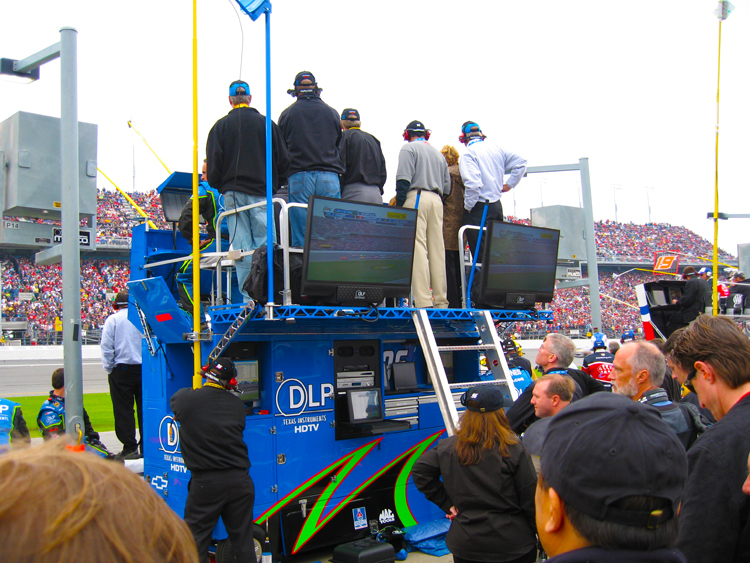 There are some pretty common misconceptions that are still prevalent in motorsports marketing. 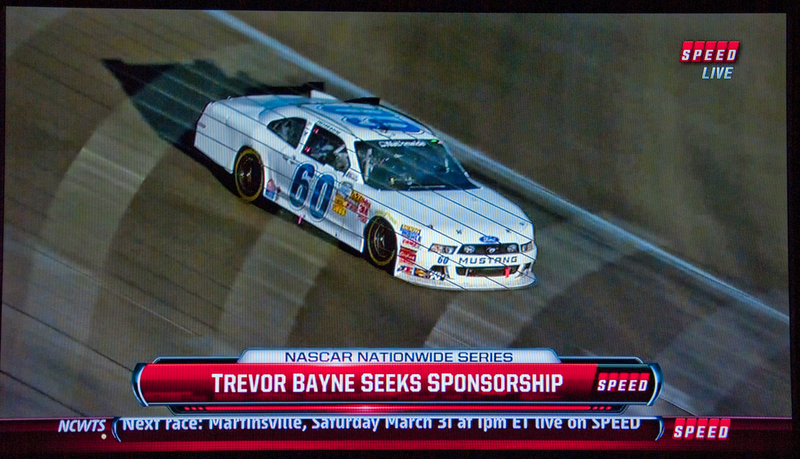 We are a good 40 – 50 years into the business of sponsorship in racing, and we just should not be seeing some of the things that are happening today. We should be well past them. 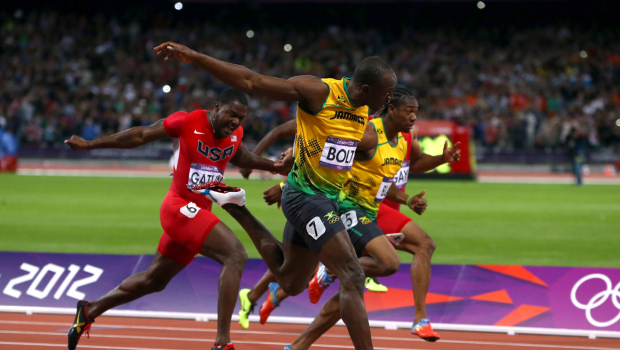 “Running good”, on its own, has never led to a sustainable marketing communications program. You still have to build on- and off-track strategies that solve business problems, such as increasing sales or proof-of-concept for your technology, as examples. 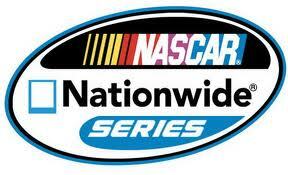 Every single race team in the history of racing that has “run good” has lost sponsors. 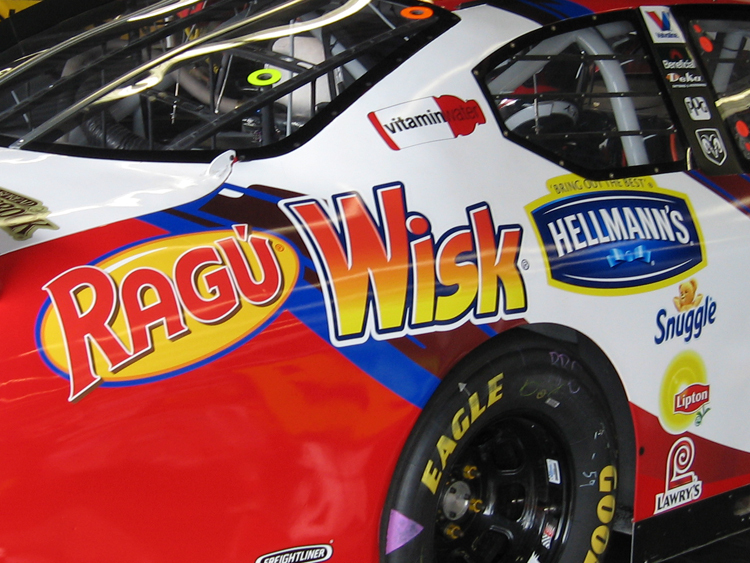 Seeing Roush Fenway and Penske Racing cars running around with words like “Roush” or “Penske” on them is all the proof that you should need. 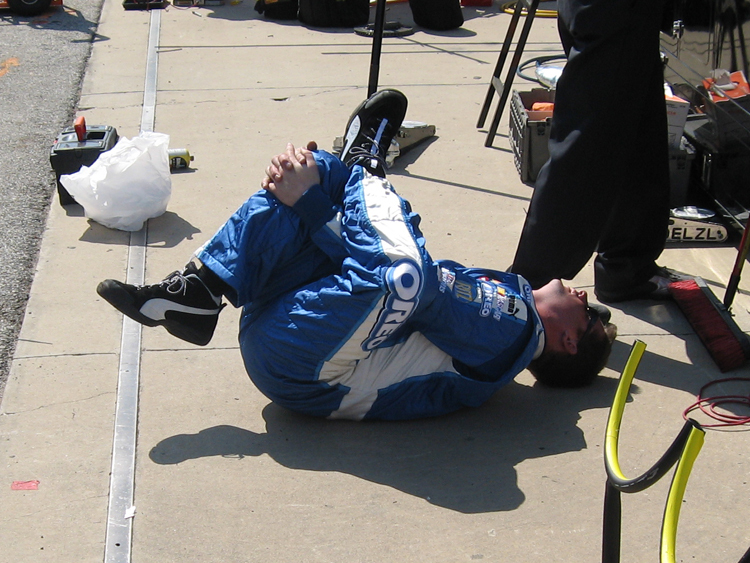 Last week, Kasey Kahne sat on the pole at the Martinsville Cup race with HendrickCars.com plastered all over the car. Not only do these teams “run good”, but Jack and Roger and Rick have a few connections and can get a meeting or two as required. They also have incredibly sophisticated marketing and sponsorship procurement departments. 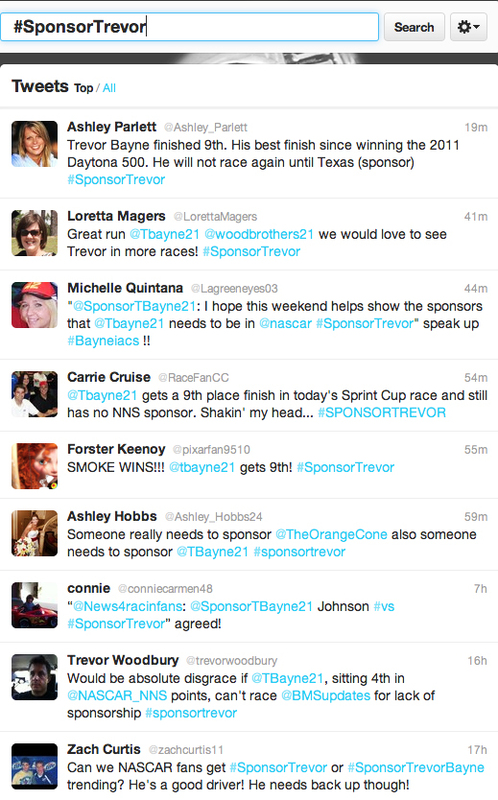 On the flip side, I could name lots of drivers who do not “run good” but have plenty of sponsors. If you think about it, they are also “ride buyers”. They are just using someone else’s money instead of perhaps family money. The companies that are buying rides for these drivers don’t care how they run. 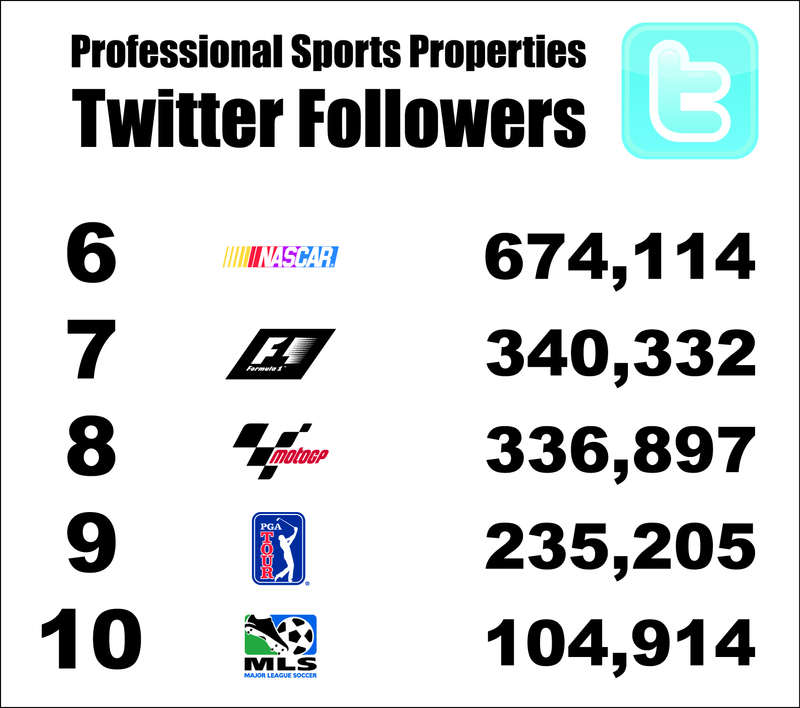 They have other assets that the sponsor finds appealing. “I love racing!”… or… “It’s my passion”… or “I just want to win!”. If you ever use words like “I, me or my” in your proposals, make sure they are followed with – as an example – “I only care about how I can provide measurable return on your marketing investment.” Or “My goal is to be a cost effective conduit between you and your desired client base”. … or… “This proposal is not about me, it’s about you.” And if the company says to you; “Great!… how are you going to do that?”, your answer cannot be; “You can sponsor my race car!! Woooo-hooooooo!” You need to understand the challenges that the company you are talking to is faced with, and you need to know how to use racing-centric assets to fix that problem. You need to be a student of marketing and have a deep insight into how companies operate. Having said all of this, and to the detriment of most, there are drivers that get a ‘ride’ by running good. Every time that a driver wins a Championship and then gets a full-time paid ride, everybody stops learning about business and puts all of their focus back into “running good”. 3) All I Need To Do Is Tell Them That I NEED A Sponsor! 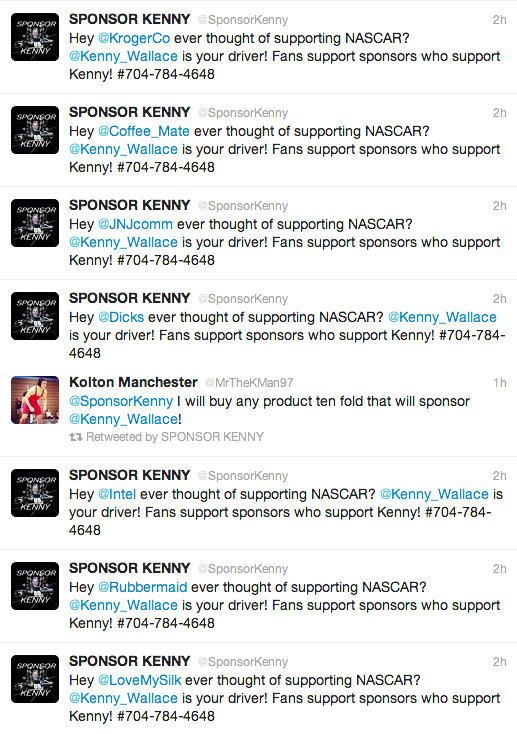 The icing on the “sponsorship is regressing” cake has been Kenny Wallace’s recent performance on Twitter. There’s no denying his passion, his sincerity, his accessibility or his desire. He is what he is, and that’s why so many love him. But what he is doing… ‘tweeting for $$$’, is in my opinion…. ummm…let’s just say a step backward. Especially when you consider his tenure in the sport and his family’s influence and reach in the sport. Remember, his brother – and NASCAR Champ Rusty – had to shut down his racing operations because he was unable to provide a value proposition as a sports marketing platform for corporate America. 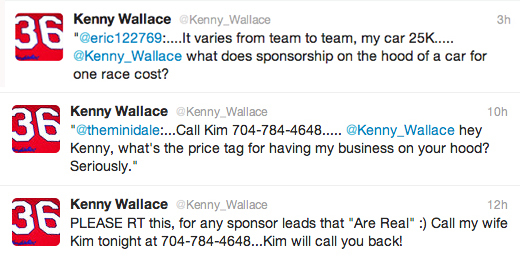 Can you imagine the number of decision makers and influential people that the Wallaces have met over the years?? 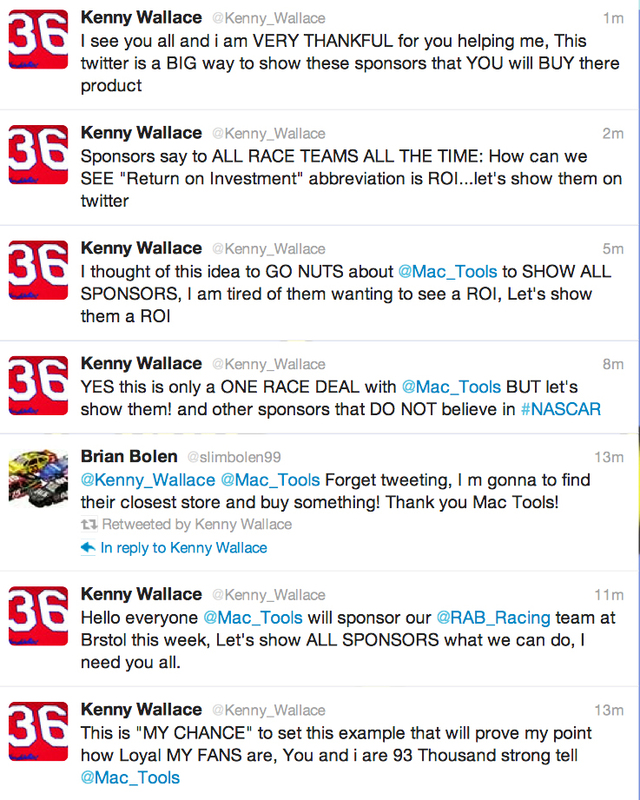 I think that Kenny Wallace will get someone to “sponsor” him. Someone will step up and give him $25K or $50K to say that they did it, get their hot pit pass and live the dream. But unfortunately, this model is not sustainable and it’s gonna end in tears. 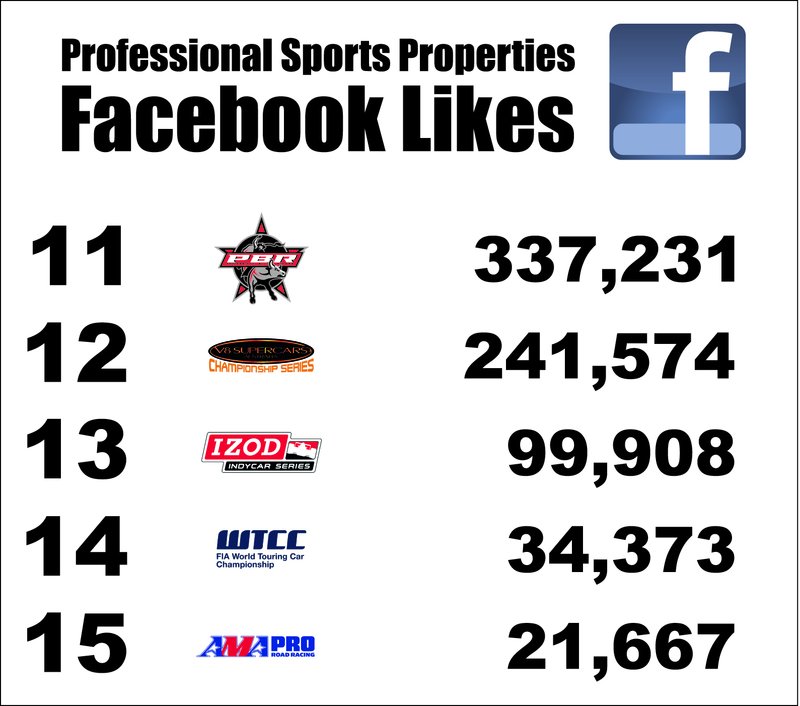 Are there companies that could benefit from a well-executed motorsports marketing program? Of course there are…. but sponsoring you because it is your passion does not provide a sustainable business model. Become a student of marketing. Where do companies invest their marketing dollars? And why? How do they measure it? Who is their target audience? 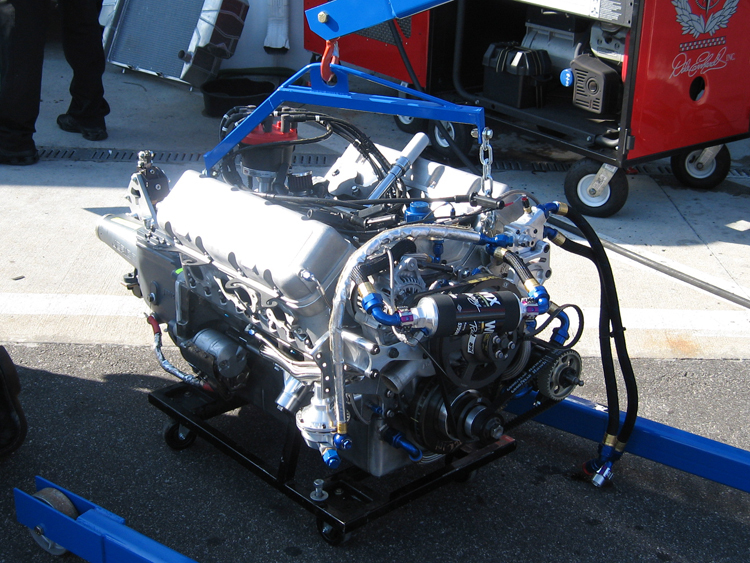 Once you know these answers, you need to be able to create a motorsports marketing program that meets all of their objectives, do so for less money than they are investing now, and with a measurably better return on investment. No problem! Stop thinking that you are in the advertising game. Do you really want to compete with a billboard along the highway that works 24/7? Does a billboard have the costs that you have? 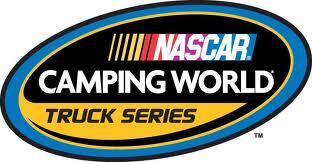 Namely, a 53 foot tractor-trailer, 2 – 12 race cars, full-time employees and a rock star driver with needs? If you are playing the game by counting eyeballs, you’re done. Your program has to have a positive effect on every aspect of a potential sponsor’s business, not just some exposure metric where frankly, you can’t compete. Stop looking for sponsors and look for value. Sponsors are everywhere. If there was a list of the Fortune 5000 (five thousand) companies in North America, my guess is that 99% of them sponsor something. You think that the only reason that they are not sponsoring you is because they do not know how badly you want to race…. and win. You are mis-guided. They are not sponsoring you because you have not provided them with a motorsports-centric solution to their specific business problem(s). You have not provided enough value. 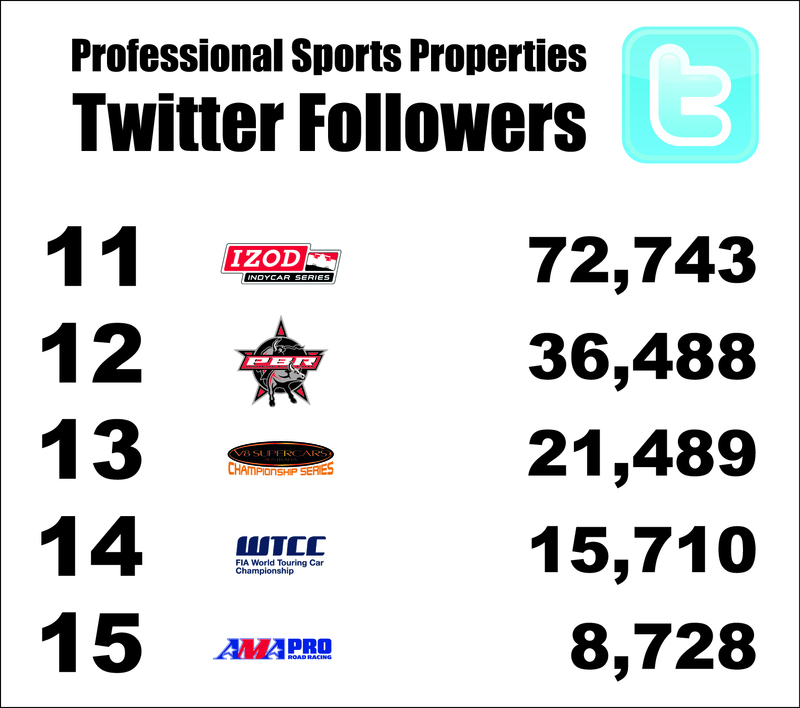 There are 100s of success stories where companies used motorsports marketing successfully. Study them. Find the case study of how Coca-Cola replaced all of the Pepsi (and other branded) vending machines outside of Home Depot stores in the USA. It is a fantastic, measurable success story that shows how motorsport was the conduit to a terrific opportunity for Coke. Pull your head out of the sand regarding how hard this is. In the old model, all you had to do was show 3rd party data on your demographics, show your racing schedule, include a fancy graphic to show here their logos go…. 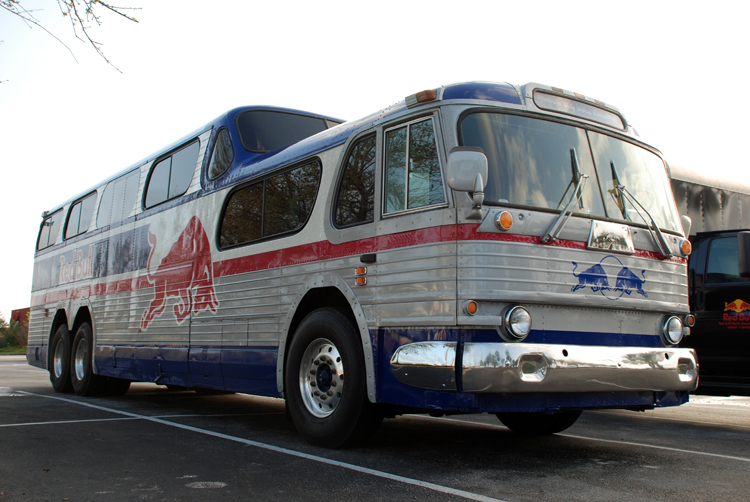 and ask the simple question: “Would you like to sponsor me?” In today’s model, you have sponsors like Red Bull who are saying; “Your property (team, driver, series, event) does not address my business objectives so we will just go ahead and create, own and manage our own events and properties. We will also own the distribution rights and we’ll even go out and find other companies to sponsor our events.” This control over assets and audience is becoming more and more prevalent. And let me repeat…. they are getting sponsors – who could be sponsoring you – to sponsor them. They are taking those marketing dollars out of circulation. Does this concern you? It should. The model; “Would you like to sponsor me so that I can win races and live my dream….? ?” is over. By employing this as your strategy, you are setting all motorsports back and closing the door for future opportunities. And for sure…. stop twittering about it. Posted on March 26, 2012 by Brandrenaline, Inc. 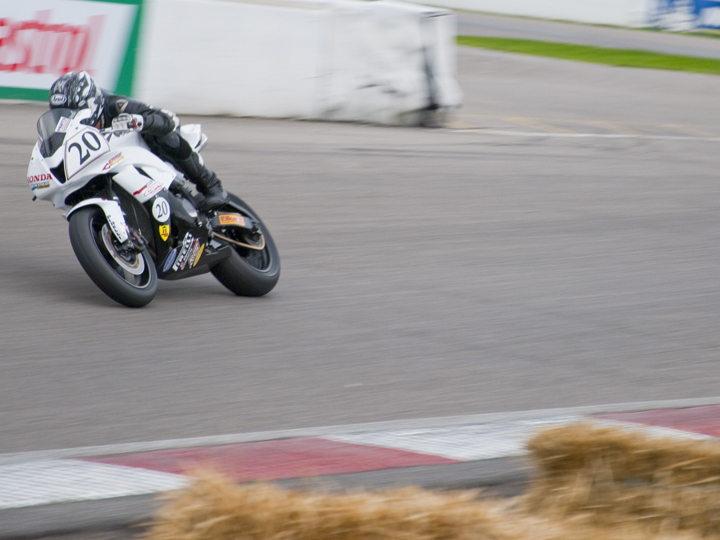 In my rant last December about the Canadian Superbike series, I mention that I had tried to reach out to influentials before I ever considered writing a blog story. But nobody wanted to talk to me about it. I get that a lot. 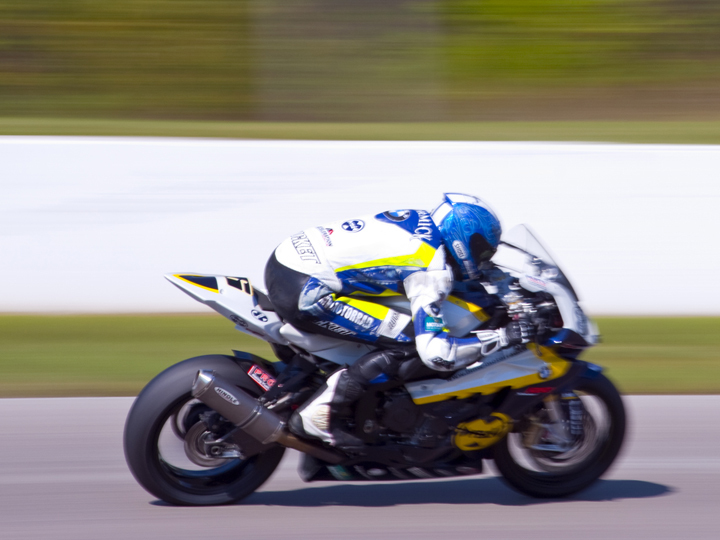 So, when I did set about to ‘rant’ about Canadian Superbike, I can honestly say that my goal was that one or two people of influence would actually reach out to me, and that we’d get together to talk about the current state of professional motorcycle road racing in Canada. I had set my goal too high… well, not just too high, but out of sight. Apparently, just about everyone involved believes that the current state is “just fine… thank you very much”. Certainly, everyone involved who has the power to make change believes that. Of course, there is every possibility that right this minute, behind the scenes, major positive changes are being crafted. 1. I got a phone call from a vendor to the series. This well-known gentleman was really disappointed with my approach and felt that if I would have reached out to the series organizers in advance, that they would have listened to me. I can tell you that my conscious is very clear on this point. I attempted to do exactly that, at least five times in 2010, and never got the call. 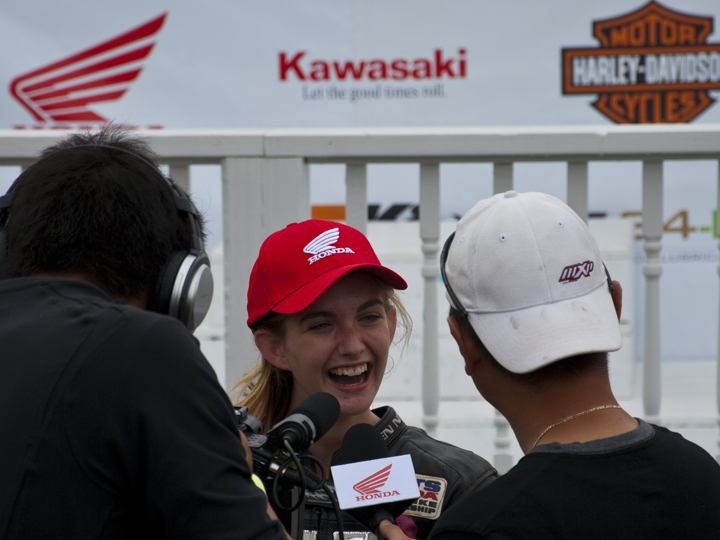 But imagine if I did speak to them… “Hey I believe that the responsibility of the CSBK series is to generate CONTENT. This content is to be used as an AUDIENCE AGGRAGATOR for its STAKEHOLDERS.“ Can you imagine the reaction that I would have got? 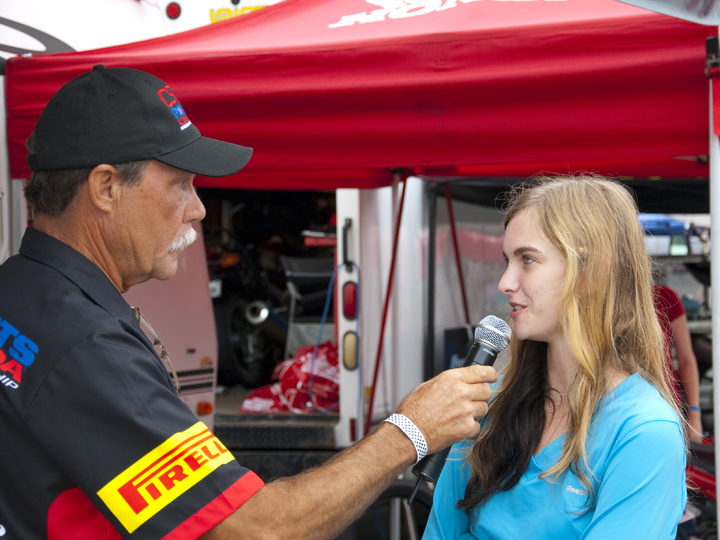 This well-known gentleman who provides services to the CSBK series – maybe for a fee, I do not know – felt that the series was very well run. I guess the takeaway was that I don’t know what I am talking about. I get that a lot. That was in December and I have never heard from him again. 2. I spoke to a rider in the series. One of my points in the rant was that if the series does not provide enough value for the motorcycle industry to support it, don’t even think about going outside the industry for sponsors. This rider felt this is a valid point. I do not get validation very much. I have stayed in touch with this rider and have offered to be a sounding board for sponsorship ideas and brainstorming and we do that from time to time. 3. I spoke with someone who works for the Canadian head office of a motorcycle company. He admitted to reading my blog story, but you could see immediately that he was thinking; “Why did I admit that? ?” It was a very awkward moment for sure. He definitely did not want to talk about it, but he did say one thing that I found incredible. He said something like: “You know Jim, the motorcycle companies here in Canada are just not big enough to put money into racing.” I asked him to please consider what he had just said. I told him that “no motorcycle company in Canada should EVER put money INTO racing. None. Ever.” I suggested to him that “Canadian motorcycle companies should be investing in targeted marketing communication programs. These programs should use racing as proof-of-concept for their quality, service and performance messages. These programs should be designed to sell motorcycles, be trackable and sustainable, and there should always be a positive return on investment so that these programs never go away – even in the toughest of times.” He didn’t want to talk about it. I get that a lot. 4. I spoke to another individual who responded with this: “You seem angry….”. I confirmed this – “Hell yes, I’m angry. 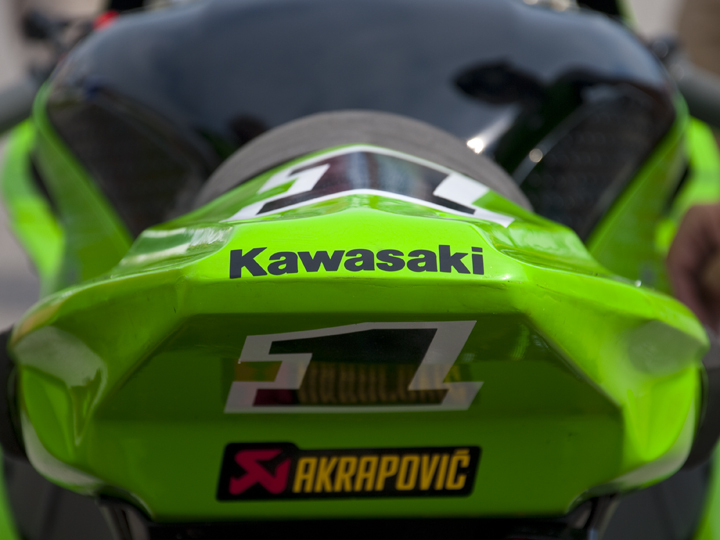 Motorcycle road racing is fantastic and I am angry that nothing is being done to stop its decline”. I agree that I need to chill out. 5. While at the Toronto Motorcycle Supershow out at the airport, another gentleman who is known and respected in the industry approached me and told me that one of the series organizers was at the show, and that he wanted to talk to me. “Super…. anytime…” was my response. This series official was 30 metres away from me at the time and that was as close as we got. I get that a lot. 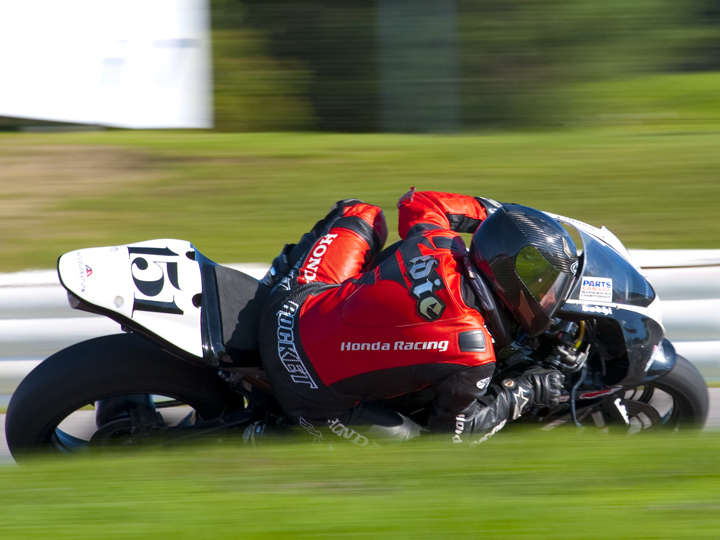 I am not suggesting that I am going to start a new, competing – for now – Superbike series here in Canada. To do that, I’d need the entire industry to come together to share new ideas and a fresh perspective, and certainly, they’d need to have open minds. They would have to leave “Because that’s the way we’ve always done it.”… at the door. But… they’re not going to listen to me. I get that a lot. And, In case you missed it, here is my original rant.